Chief of Police: Frank Morales, Jr.
Frank Morales, Jr. was sworn in as Chief of Police December 13, 2001. While still serving Active Duty in the Air Force, Chief Morales served as a Patrol Officer at the City since July 1, 1994. 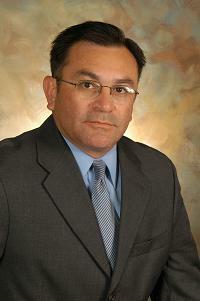 Chief Morales was born in San Antonio, Texas and attended John F. Kennedy High School. He enlisted in the United States Air Force after high school and began Air Force Basic Military Training at Lackland AFB in August 1981. He then attended the Air Force Security Police Academy and graduated in December 1981. His Air Force assignments have taken him twice to Clark Air Base, Republic of the Philippines, and twice to area bases in San Antonio. He has attended numerous management and leadership courses throughout his distinguished military career. Promoted ahead of his peers, the Air Force placed him in several different job positions, including Chief, Security Police Training and Resources; Chief, Security Police Administrations; Chief, Investigations Division; and Chief, Law Enforcement Operations. He retired September 1, 2001 from the Air Force after 20 years of honorable service. Chief Morales joined the Hill Country Village Police Department in June 1994 as a relief officer and managed to spend his last year of military service as a full time employee for both the Air Force and the City of Hill Country Village. He currently holds a Masters Peace Officer License through the State of Texas, and many other certifications. He and his wife Nelda Ponce-Morales have two children, Bianca Van Ausdall and Nick Morales, one grandson, Lathan and two granddaughters, Brooklyn and Harper.